Flip your fins through clear waters and admire the flourishing underwater life of Fuerteventura’s blue ocean. 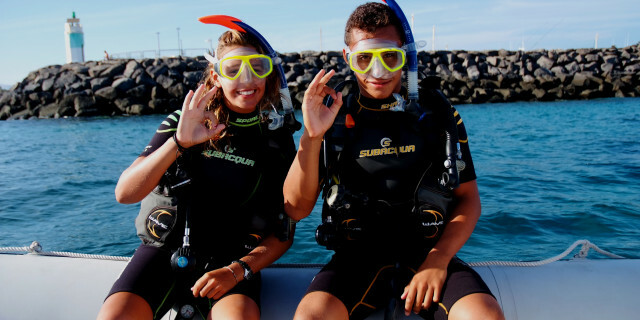 Discover your fins and learn how to scuba dive in this beginner course in Fuerteventura. Start your underwater exploration in the clear Atlantic Ocean full of sea life. Are you looking for more outdoor activities in Caleta de Fuste?